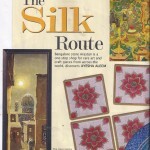 Nice well-written piece about Arastan “The Silk Route” in the October India Today Home magazine. Bangalore shop Arastan is a one-stop shop for rare art and craft pieces from across the world, discovers Ayesha Aleem. Tucked away in an unassuming bungalow in Jayamahal in Bangalore, it is easy to miss out the property that houses artifacts from around the world. Celebrating the fabled Silk Route particularly, this three-month old store is the brainchild of avid traveller and collector Nisha Misra. Please click on the images to read the rest of the article, or better still come in to our studio on Nandi Durga Road and experience yourself “the retail stopover unlike other décor jaunts”…!